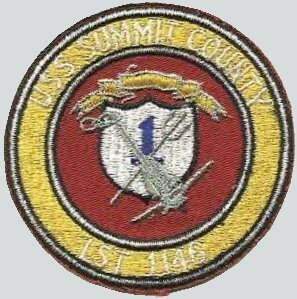 Laid down, 10 February 1945, at Chicago Bridge and Iron Co., Seneca, IL. 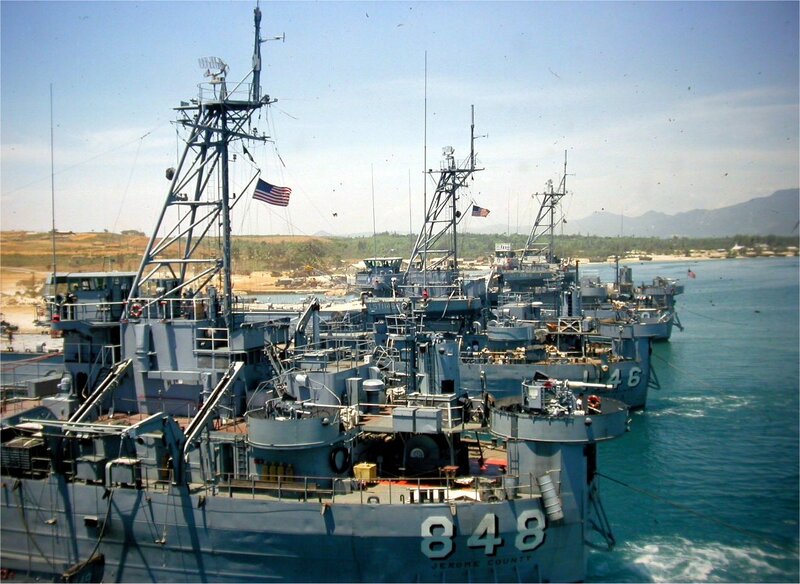 Decommissioned, 31 October 1969, at San Diego, CA. 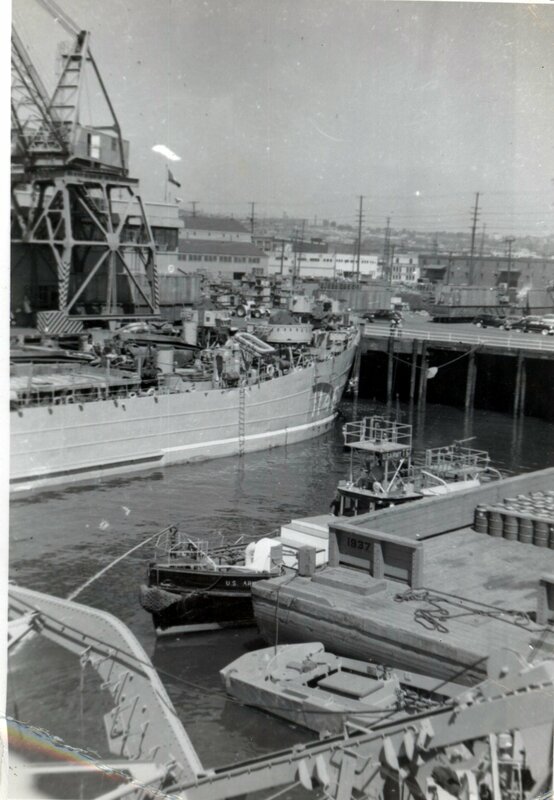 Transferred to MARAD in December 1969 for lay up in the National Defense Reserve Fleet, Suisun Bay, Benecia, CA. 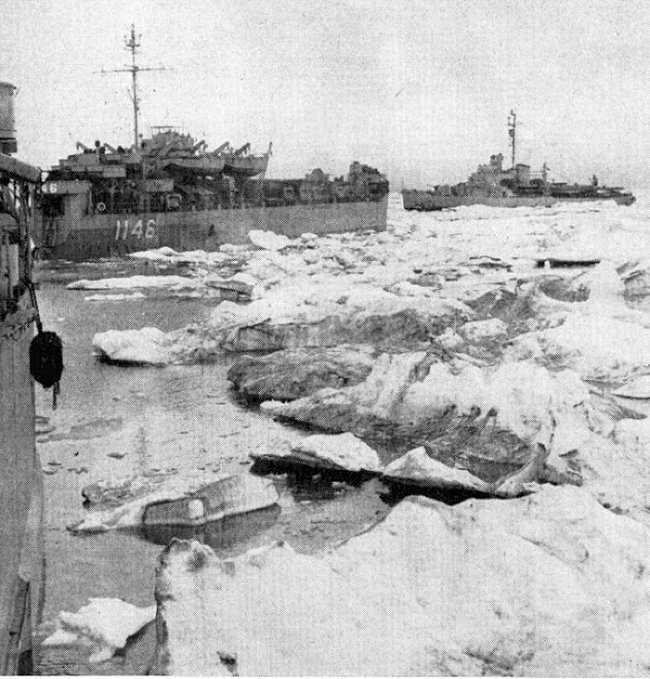 112k USS LST-1146 and USS Burton Island (AG-88) underway in Arctic waters during "Exercise Barex-48 in early 1948. 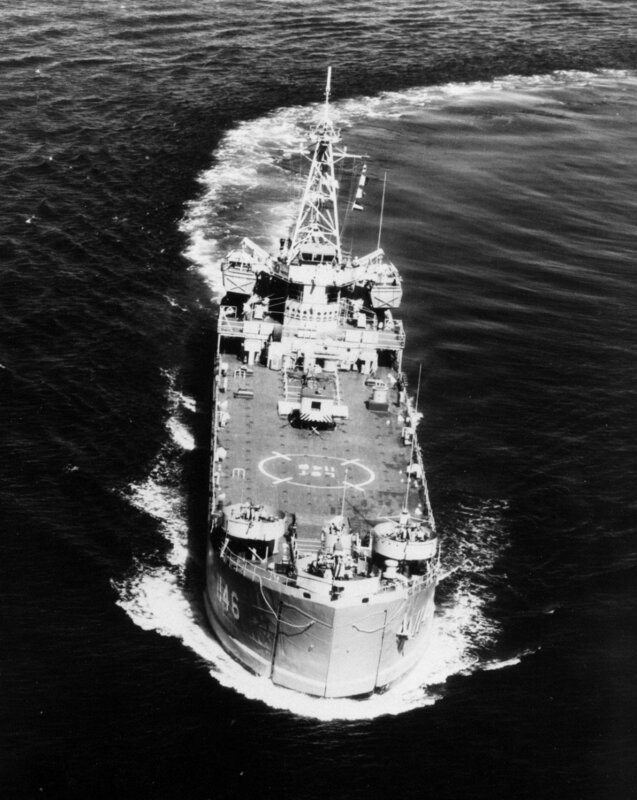 54k USS LST-1146 underway in Arctic waters during a 280 mile endurance test. 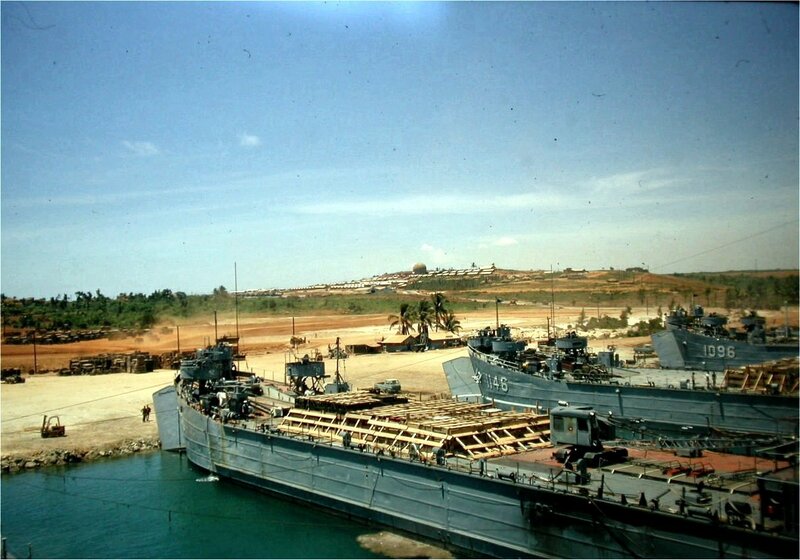 534k USS LST-1146 beached, date and location unknown. 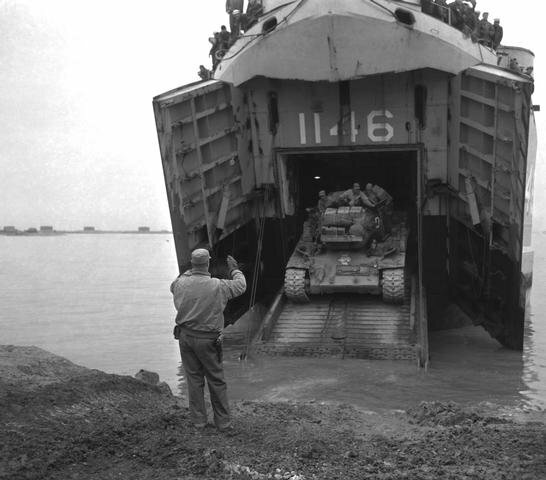 Photo by Ronald Roy SMC USN Ret. Scott Nelson for his grandfather Ronald Roy SMC USN Ret. 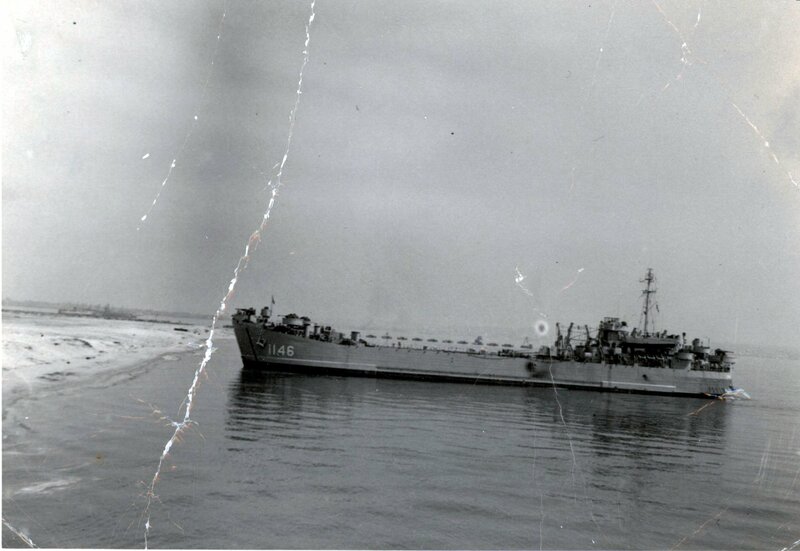 495k USS LST-1146 moored pierside, date and location unknown. 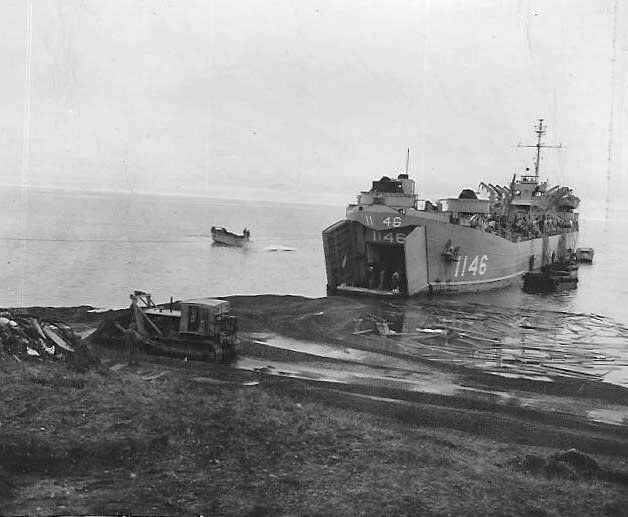 452k USS LST-1146 beached, date and location unknown. 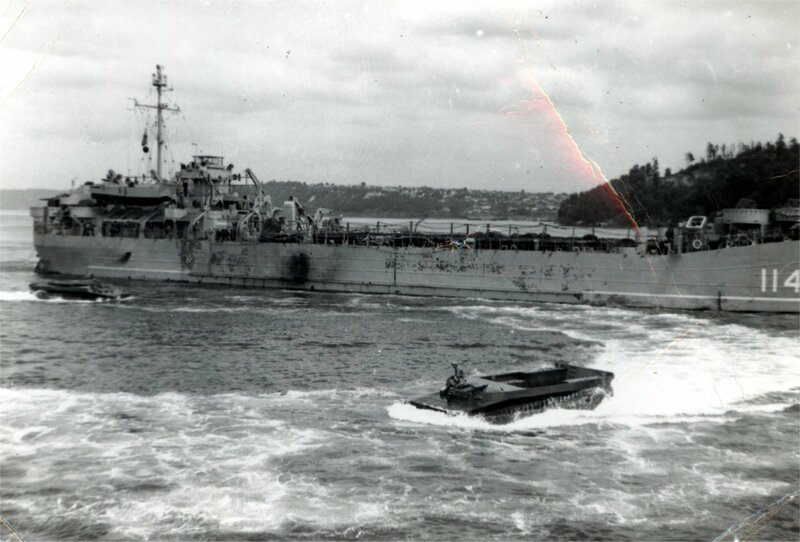 268k Bows on view of USS Summit County (LST-1146) under way, date and location unknown.